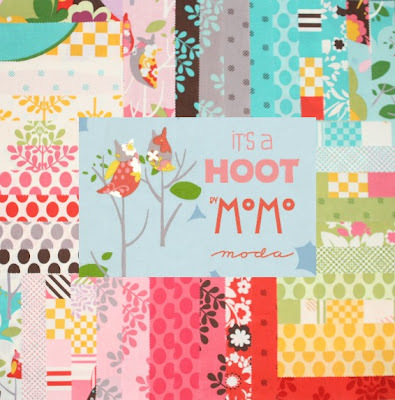 Man, this would be a cute baby quilt. It would be a cute anything. Pre-cuts are available on etsy & eBay. Moda pre-cuts are being released sooner than later. 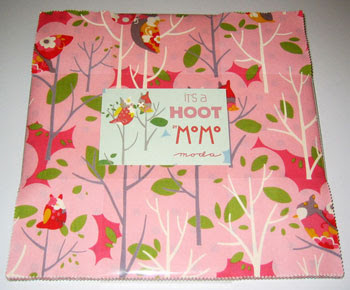 It's a Hoot yardage isn't scheduled to be available til October. Might want to get precuts sooner than later. Well, actually, I have to take that back. This is a first -- the Bliss yardage is here today, but not the pre-cuts.?? 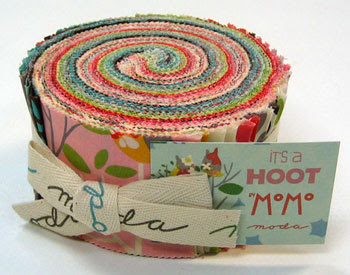 We'll be doing some Bliss quilt kits, but kind of need the layer cakes & such :-). So...again, might want to get pre-cuts when they're available. 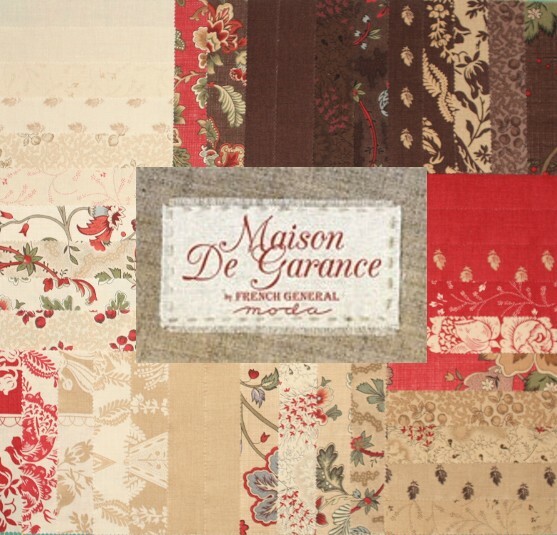 Maison de Garance charm packs est arrive' (something like that). Pretty, rich, deep colors from French General. Shop Note: I am out next week. If I can help you with anything, please contact me today. 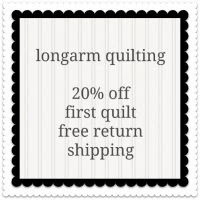 Orders will be shipped today & tomorrow and then on Monday, Sept. 20th. Both are great fabric sets. Who can't love Owls and Dots?? ?